Created to house the nation’s capital, Canberra, the Australian Capital Territory allows nature lovers to explore sprawling parks, while in close proximity to exquisite restaurants and wineries. When taking a tour of the Australian Capital Territory, you’ll be surrounded by the rich history and culture of Australia. Not to mention, there are various opportunities for nature enthusiasts to seek adventure, from snowy mountain tops to pristine beaches. Just a short distance from the city, you’ll find wildlife galore as there are walking trails, nature preserves, the Australian Alps and even the Aboriginal rock art. Take a stroll through the country side to see farms, art galleries or wineries. Tours allow you to head to the Snowy Mountains for a hike through wildflowers or view the marine life from the amazing beaches on the South Coast. 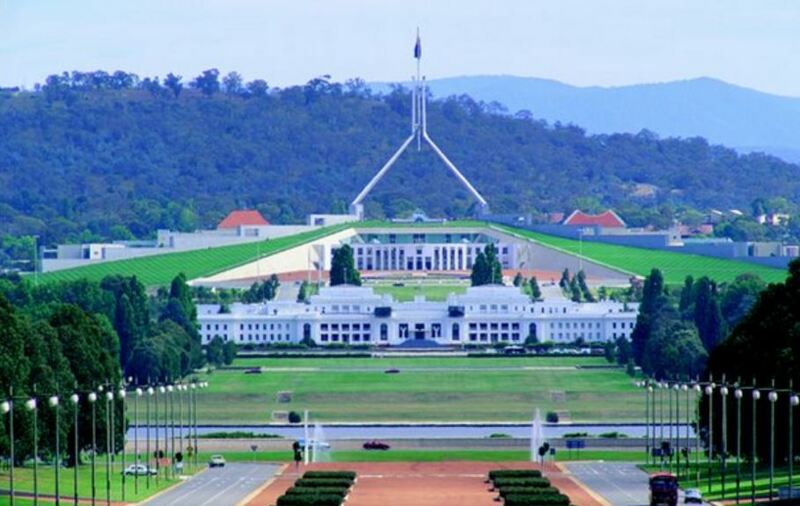 Tours of Canberra in the Australian Capital Territory will allow you to experience the political past of Australia, while witnessing their modern government. You’ll see the area through the eyes of the local artists at the National Gallery of Australia and see Australia’s proud sporting achievements at the Australian Institute of Sport. Afterwards, take a tour of the Australian Capital Territory through the native brush lands, green open spaces and glacial lakes. Tours through the Snowy Mountains take you to colorful meadows and Australia’s tallest mountain peak, Mount Kosciuszko. You can take hiking, biking, kayaking, rafting, horseback, four wheeling and even caving tours to become one with nature. Tours are even available to the area’s South Coast, where you will spot dolphins in the pristine water off the white beaches of the Sapphire Coast. You’ll spot exotic animals, witness amazing wildlife or kayak through Kangaroo Valley. The undisturbed wildlife and 30 national parks provide diverse tour opportunities to explore the splendor of the Australian Capital Territory. To connect with the locals and culture of the area, book a tour through Capital Country, where you’ll visit old pubs, galleries, antique stores and churches. Plus, you’ll see waterfalls, lush rainforests and sandy cliffs. With working farms, wineries and museums, you’ll have a relaxing tour through the heart of the area. Tours of the Australian Capital Territory are the ideal way to connect with the historic culture of the area, while surrounded by the unmatched beauty of Australia. Plan your ideal vacation tour of the Australian Capital Territory today!